Huang Rui, Yin and Yang No. 1, 1984. 825 x 825 mm. Huang Rui, Yin and Yang No. 3, 1984. 825 x 825 mm. Huang Rui, Space 85-6, 1985. Courtesy of Boers-Li Gallery. Huang Rui, Zen Space, 2018. Courtesy of Boers-Li Gallery. Huang Rui, Chairman Mao 10,000 RMB, 2008. Chinese Renminbi Notes, acrylic 52 × 35 2/5 in; 132 × 90 cm. Courtesy of Boers-Li Gallery. Installation View of Huang Rui’s Zen Space. Courtesy of Boers-Li Gallery. Portrait of Huang Rui. Courtesy of Boers-Li Gallery. It is impossible to encapsulate the wide ranging career of pioneer artist Huang Rui in a single exhibition, though this show made a valiant effort to introduce his creations to a New York audience. As a founding member of the Stars Group (1979-1984), he pushed for creative freedom from the outset, joining with artists Ai Weiwei, Ma Desheng, Wang Keping, and others to bring experimental artworks to the public for the first time after the Cultural Revolution. Shortly after, he exiled himself to Japan, where he witnessed the growth of such movements as Mono-ha and Gutai. Returning to Beijing in the early 2000s, he once again donned an activist role, pushing for the establishment of 798 as an art district and promoting its vitality through the Dashanzi Arts Festival. Throughout all this, he has made works that veer from intensely personal abstractions to text-based political commentary, never allowing his social activities to steer his energy away from his vital studio practice. 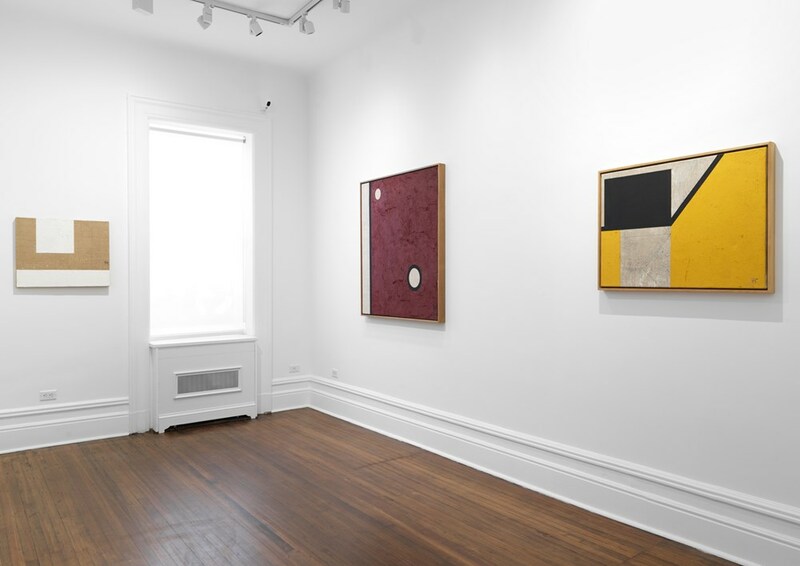 In this exhibition, Huang Rui focused his attention on his long relationship with abstraction, from his early Mondrian-inspired compositions of the mid-1980s to his most recent Zen Space series. 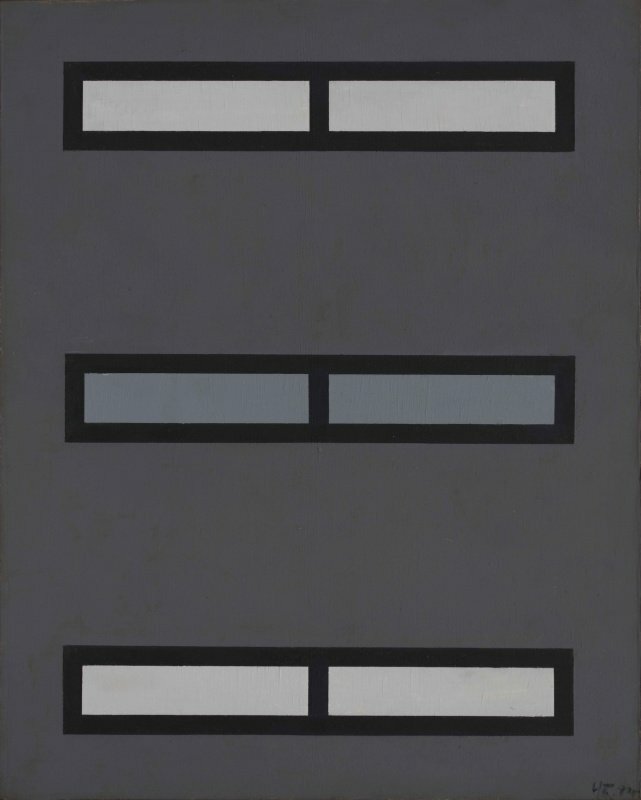 From the outset, he used simple geometric forms and a muted palette to construct spatial relationships on the two-dimensional painting surface. In a pair of 1984 canvases, Yin and Yang No. 1 and Yin and Yang No. 3, he encapsulates the entire philosophy of Zen with rows of squares on a deep maroon background. 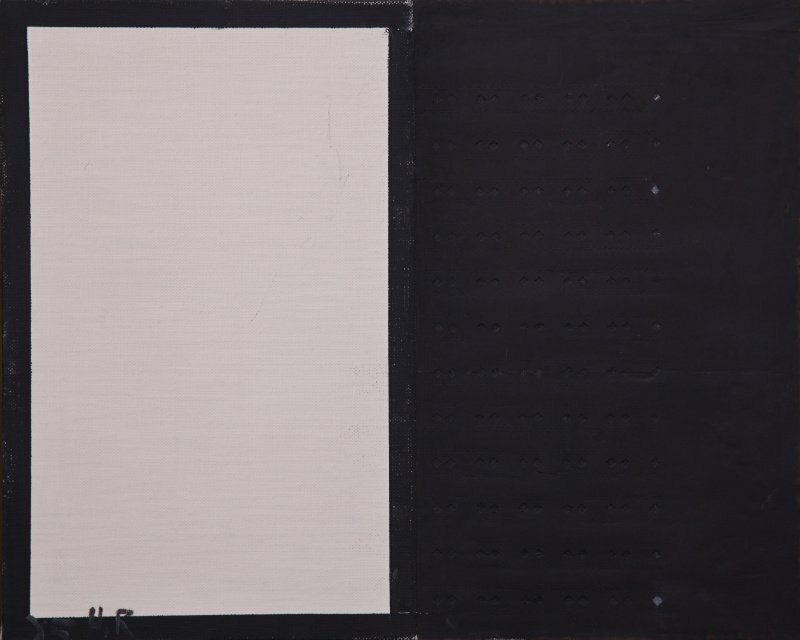 In Space 85-6, 1985, he bifurcates a canvas into black and white sides. These works were deeply influenced by his study of Buddhism and the I-Ching, demanding an understanding of Asian philosophies, rather than western abstraction, to garner their full meaning. In his more recent works, namely the Zen Space series, Huang Rui continues this exploration to the present. Zen Space-Wind and Zen Space-Thunder, both from past year, conjure up a meditative state from bands of lines in grey, black and white. 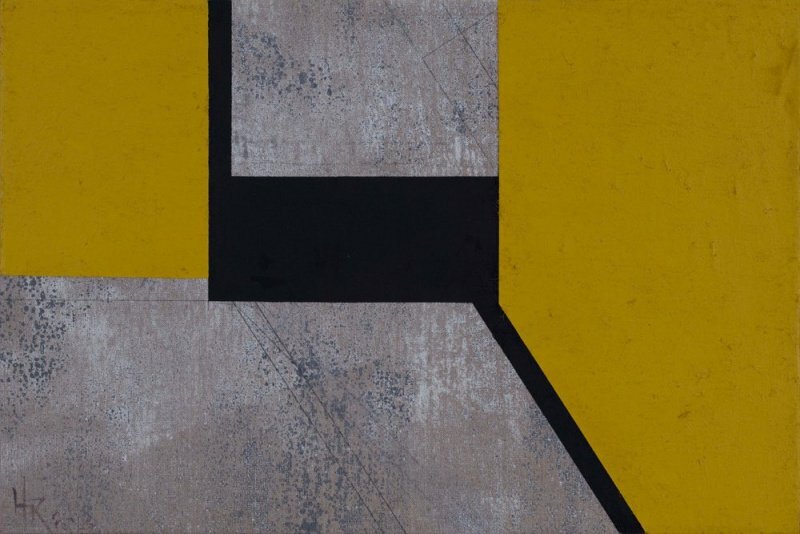 Other works evoke three-dimensionality through the use of simple shapes and black lines against a yellow ground. These works are genuinely evocative but a bit confounding, masking their deeper meaning beneath geometric forms. But, with the assistance of the beautiful catalogue that accompanied the show, audience members who made the effort would soon recognize the complexities underlying each work. Still, it is curious that an artist who has devoted so much of his time to social activism would immerse himself in such philosophical works. In a conversation with Huang Rui at the opening, he explained that he spends 20 percent of his time discussing politics with friends, but the rest of the time at work in his studio. Those more familiar with his entire body of work would also know that he has created such protest pieces as Charmain Mao 10,000 RMB, 2008, using actual RMB bank notes to spell out the political slogan, “Mao Zhuxi Wan Sui” which translates to “10,000 years for Chairman Mao”, effectively underscoring the contradictions of economic reform in an ostensibly Communist country. Such social engagement was absent from this gallery exhibition which emphasized minimalist works of great restraint. In this way, the exhibition was a bit lopsided but undeniably beautiful. It will take a full scale retrospective at a U.S. museum for American audiences to fully comprehend Huang Rui’s overall output as an artist and an activist. Until then, this exhibition was a select way to enter the artist’s body of work. Huang Rui was born in 1952 in Beijing. Like many urban youth of his generation, Huang was forced to cease his formal education during the Cultural Revolution (1966–76) and work in the countryside, for him Inner Mongolia, for so-called re-education. When this decade of political turmoil ended, Huang took advantage of the tentatively liberal cultural climate over the next few years. He became involved with a community of young intellectuals who aspired to produce modernist art unsanctioned and outside official state outlets. In 1979, at the dawn of the Open and Reform Era, Huang cofounded with the poets Bei Dao and Mang Ke the literary magazine Jintian (Today), promoting freedom of expression. Also during this time, he helped form the Stars group (1979–84) along with Ai Weiwei, Ma Desheng, Wang Keping, and others. This loose collective was pivotal in developing Chinese avant-garde art in the late 1970s and early 1980s. In the mid-1980s, when several of his contemporaries moved abroad to pursue their artistic careers, Huang moved to Osaka, Japan, where he lived until 2001. Huang’s early paintings exhibit an expressionist style influenced by Fauvism and Cubism. In the early 1980s, he created a series of Piet Mondrian–inspired geometric paintings, embarking on an enduring experiment with abstract architectural compositions and minimalist aesthetics and of which Space Structure,84.3 (1984) is an excellent example. In the 1990s, he began working with photography, printmaking, installation, and performance. Huang’s work is often oriented around wordplay and allegory, using linguistics as a window to understand cultural concepts. His fascination with nuance and ambiguity developed from his exposure to propaganda slogans and experimental Chinese poetry early in life. 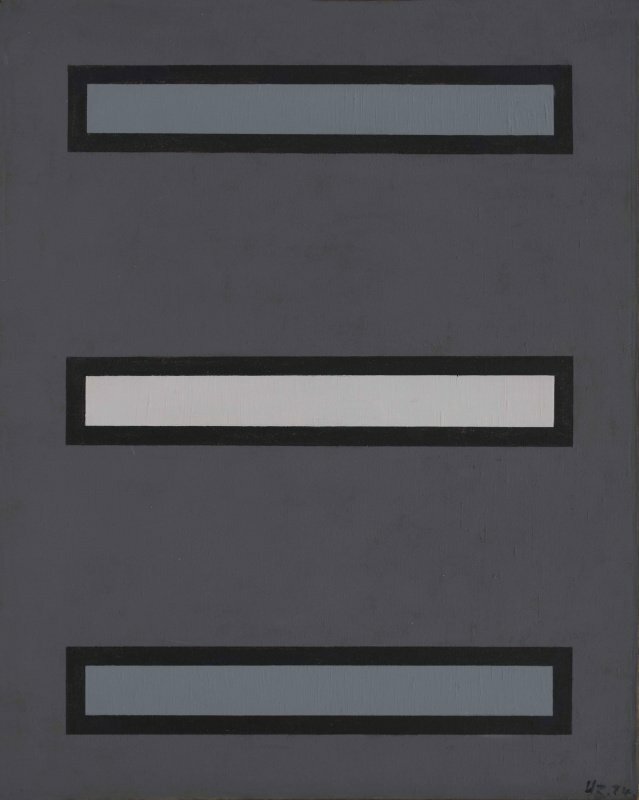 In a series of conceptual paintings including Proximity to Vermilion Makes You Red (2007) and Saying that Black is White (2013), Huang adopted color-related Chinese proverbs as subject matter, situating the four characters of each proverb squarely against a background saturated in the color connoted in the idiom. This presentation, especially the use of the rigid Songti font, strongly evokes propaganda posters that were dominant in the 1960s. However, the message is also muted and transformed by its surrounding soft palette, emphasizing the ambiguous nature of language and how powerful recontextualization can be achieved by even the subtlest shift. 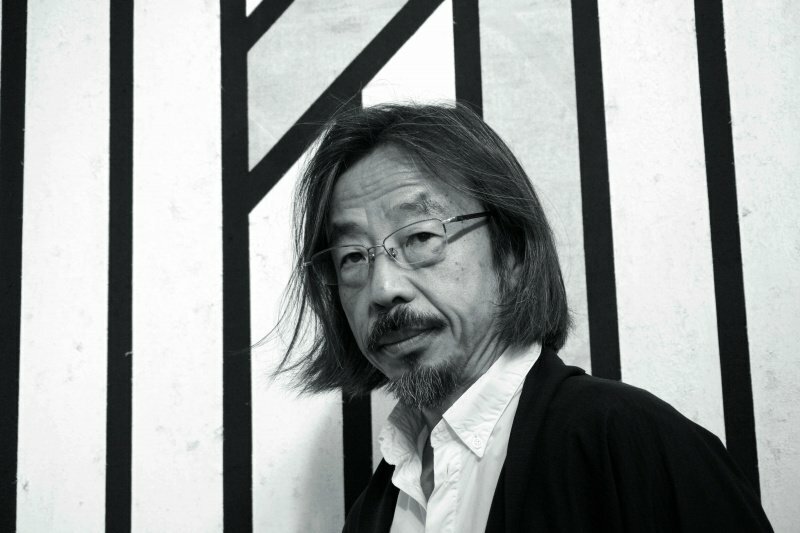 Huang has had solo exhibitions at the Osaka Contemporary Art Center (1990); He Xiangning Art Museum, Shenzhen, Guangdong Province, China (2007); and Museo delle mura, Rome (2008). Notable group exhibitions include Stars Art Exhibition, Beijing (1979); The Stars: Ten Years, Hanart TZ Gallery, Hong Kong (1989); Create History: Commemoration Exhibition of Chinese Modern Art in the 1980s, OCT Contemporary Art Terminal, Shenzhen; Agitprop!, Brooklyn Museum, New York (2015–16); The M+ Sigg Collection: Chinese Art from the 1970s to Now, Whitworth, University of Manchester, U.K. (2016, traveled to ArtisTree, Hong Kong, as M+ Sigg Collection: Forty Years of Contemporary Chinese Art); and Art and China after 1989: Theater of the World, Guggenheim Museum (2017–18, traveled to the Guggenheim Museum Bilbao  and San Francisco Museum of Modern Art [2018–19]). The artist has participated in the Venice Biennale (1995) and the inaugural Guangzhou Triennial, China (2002). Huang lives and works in Beijing.